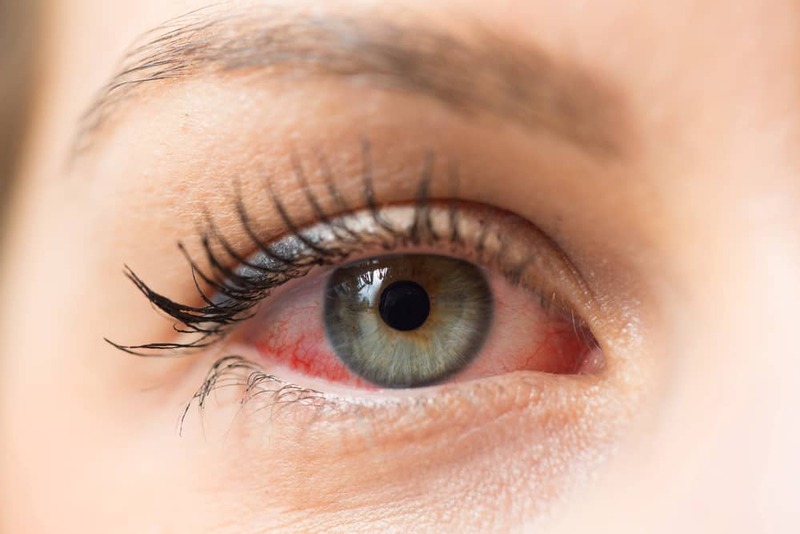 Most people will know the feeling of having irritated, sore or itchy eyes – a long-haul flight, a pesky eyelash stuck in your eye or a terrible night sleep could be a cause of this. 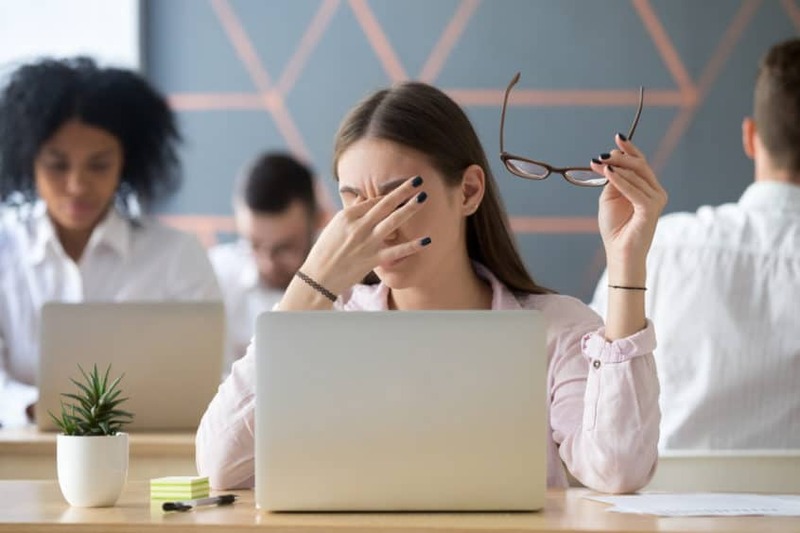 Unfortunately for some people, this feeling is a condition known as dry eye and can be caused by a variety of things, and not to mention, can be quite uncomfortable. So what is dry eye? And why do some people develop it? At the Wellington Eye Centre, we get these questions quite often. Keep reading to learn more about dry eye and how it can be treated. Dry eye is a condition some people experience due to an issue with their tears. Normally not enough tears are produced, or something impacts the quality of their tears, resulting in a gritty sensation. Despite its name, dry eye can cause your eyes to water more than usual, too. Generally, dry eye will be apparent in both eyes but in some cases, it can affect only one eye. Most people associate tears with crying and being sad, which is definitely true! But in actual fact, tears are what keeps our eyes lubricated when we blink, using something called tear film. Tear film is made up of three layers: the mucin (mucous) layer, the aqueous (watery) layer and lipid (oil) layer. This tear film spreads over your eyeballs whenever you blink, helping your eyes to focus. There are two main categories of dry eye: evaporative dry eye and aqueous deficiency. Generally, both of these categories are present in people who have developed dry eye. This condition is caused when the oil (lipid) layer of your tear film is lacking, which results in your tears evaporating faster than normal. This doesn’t mean there aren’t enough tears themselves, but the quality of these tears isn’t normal. When working as it should, the oil layer in your tears stops them from evaporating too quickly, by sealing in the moisture, provided by the watery (aqueous) layer. It also helps the tear film spread over your eyes properly, ensuring all areas are covered with moisture. As opposed to the quality of your tear film, aqueous deficiency refers to the quantity of tears, or lack thereof. If your tear glands aren’t producing enough tears, it’s difficult for your eyes to keep lubricated, clean, and healthy, each time you blink. Blinking drags the tear film across the surface of your eye. Typically, dry eye won’t cause any long-term eyesight problems. However, in extremely rare cases, the dryness can leave permanent damage to the front of your eyes. Why Have I Developed Dry Eye? Wearing contact lenses – dry eye is often caused by contact lens irritation, and contact lens intolerance can be a symptom of dry eyes. The lenses disrupt your team film and can rub against your conjunctiva, which can aggravate dry eye symptoms. If you haven’t considered it, laser eye surgery can remove the need for contact lenses or glasses to correct eyesight – check out this blog on the benefits of SMILE (a type of laser eye surgery) for more information. Meibomian Gland Dysfunction (MGD) – the Meibomian Glands are located along the edge of the eyelids, just behind where your eyelashes are. They produce the oil found in the outside layer of the tear film. If these glands get inflamed and blocked, they are unable to release oil at all, or the oil quantity produced is much smaller. Medical conditions – some people may develop dry eye symptoms as a result of other medical conditions: lupus, thyroid disease, asthma, diabetes and arthritis. Sjogren’s Syndrome – this is an autoimmune disorder which inhibits a person’s ability to fight infections. In particular, Sjogren’s Syndrome affects the mucous membranes that produce moisture, causing dry eyes and a dry mouth. Computer use – when we look at a screen for extended periods of time, like many of us do for work, we tend to blink less frequently than normal, which means our tear film evaporates faster. Try to blink more when using a computer or watching TV, as this may help to keep your eyes lubricated and comfortable. Medications – Some medicines can cause dry eye side-effects. If you are taking pain relief medication, oral contraceptives, antihistamines, blood pressure medications, sleeping pills, diuretics, medications for Parkinson’s disease or antidepressants and you experience dry eye symptoms, tell your doctor. Gender – interestingly, it’s more common for women to develop dry eye than men. This is due to hormonal changes throughout life such as pregnancy and menopause. Women who are having hormone replacement therapy are also more likely to experience symptoms. Environment – if you’ve gone running in the wind before, you’ve probably experienced the feeling of dry or watery eyes. Exposing your eyes to strong winds or really dry weather can cause dry eye. The same thing can also happen indoors with air-conditioning. Age – we are more likely to develop dry eye symptoms as we age because we produce fewer tears as we get older. Of people over the age of 65, approximately 7% develop dry eye. Get in touch with an optometrist or an eye specialist if you’re experiencing dry, gritty and irritated eyes. An optometrist or an eye doctor (ophthalmologist) can complete a few different tests to determine if you have dry eye. If you go to your GP in the first instance, they may refer you to an optometrist or ophthalmologist to get your eyes examined. The severity of dry eye can vary, so it’s important to get assessed by a medical professional to ensure the best treatment is prescribed. A comprehensive eye exam, which takes into account your overall health and eye health (presently and historically), so the doctor can determine the cause of your dry eye. It’s likely your optometrist or eye specialist will also ask you about your medical history and circumstances in your day-to-day life that may cause dry eye – such as the causes we discussed above. They will examine your eyes with a special microscope called a slit lamp to check your cornea and see if there is any damage and what the extent of dryness is. Measuring the volume of your tears. The Schirmer test confirms and determines the severity of dry eye. It is performed by placing a strip of filter paper under your lower eyelids. You would then have to keep your eyes closed for five minutes. Your specialist will then measure the amount of moisture the paper has absorbed. More than 10 millimeters of moisture absorbed, after five minutes, is considered normal, less than that indicates dry eye. Determining the quality of your tears. An ophthalmologist or optometrist can perform a tear film break-up time test to determine how quickly your tears evaporate after you blink. This test uses eye drops with dye added to them, which makes the tear film easier to see. The eye specialist will apply the drops to your eyes, ask you to blink and then keep your eyes open. Shining a light on your eyes will allow your specialist to see patches where tears have evaporated and to time how long it takes between blinking and these patches forming. If dry patches begin to form before ten seconds have passed, that’s usually a sign of dryness. The dye in the drops doesn’t stay for long and won’t change the colour of your eyes. Once diagnosed, there are a number of ways to treat dry eye. A lot of people will find that once they have dry eye, they tend to get it again. But if you’re aware of the condition, it can be managed easily. Dry eye isn’t curable as such, but there are treatments available to relieve the symptoms. There are so many possible causes of dry eye and these usually vary between patients. Treatment will depend on the specific cause and the symptoms the person is experiencing, which is why it’s important to get your eyes checked by a medical professional. Taking a break from your contact lenses and using glasses for a while. 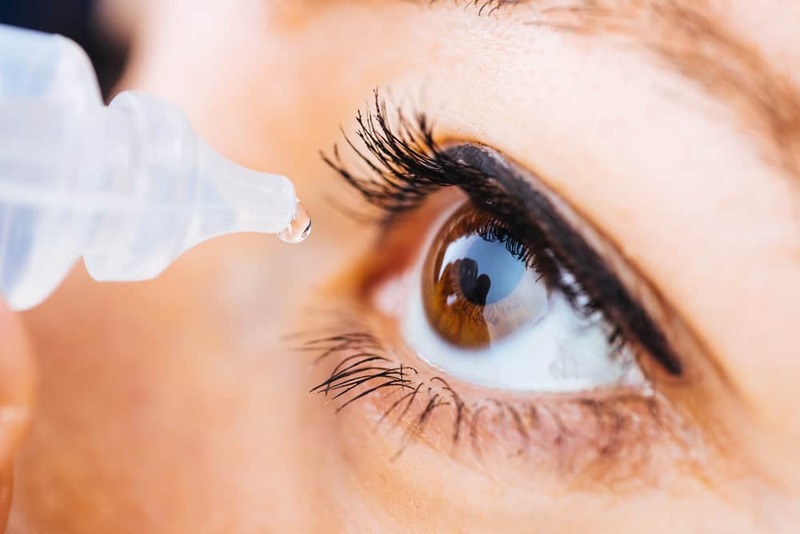 Eye drops are very likely to be prescribed when someone has dry eye. They’re essentially artificial tears, which supplement your natural tears. As well as keeping your eyes lubricated and comfortable, they can prevent damage to the front surface of your eyes, which may occur if your eyes are dry for a long time. Make sure you use these eye drops as prescribed. If you find you need to use them more than the prescribed number of times, let your eye specialist or optometrist know. There are three main types of eye drops: artificial tears, gels or ointments. Your eye care provider will discuss with you what treatment may be best for you. If your tears are draining too quickly, it’s possible to block the drainage holes in your eyelids – known medically as “punctal occlusion”. The treatment blocks the drainage channels using small devices called punctal plugs. Usually you will still need to use eye drops, but may find you need to use less of them. The plugs can be temporary or permanent. Temporary plugs are usually made of collagen and dissolve after a period of time. Permanent plugs are made of silicone and can be removed by an ophthalmologist. Once the plugs are in place you will not be aware of them. If you have any further questions about dry eye, or would like to see our specialists to talk through your symptoms and recommended treatments, you can call us on 0800 733 327 to speak to a member of our team.